Kisses milk chocolate hugged by white creme. Per 9 piece serving:210 calories. 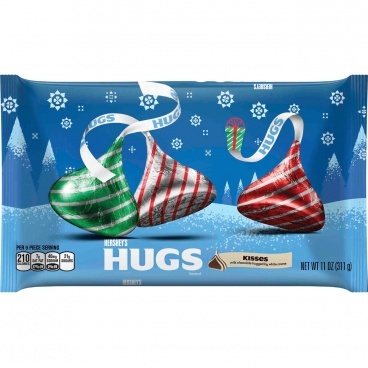 HERSHEY'S HUGS Holiday Candies, 11-Ounce Bags. 7g sat fat 35% DV. Say it with a kiss. The right words don't always come easily. And sometimes it's impossible to say what you really mean. 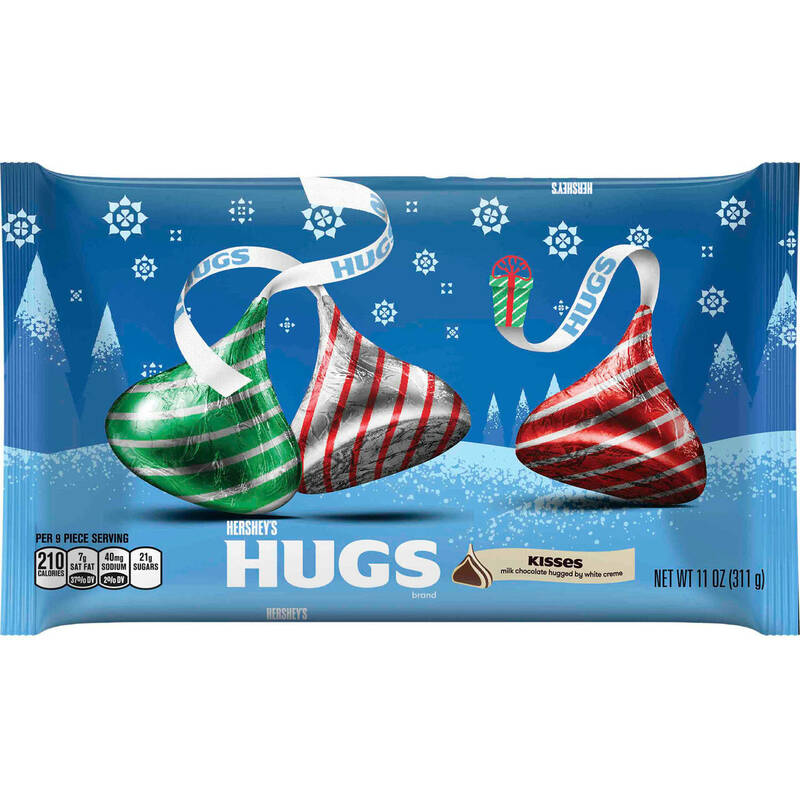 But give someone Hershey's Kisses chocolates and you'll instantly say it all. Kiss someone. Ingredients: Milk Chocolate (Sugar, Milk, Chocolate, Cocoa Butter, Lactose, Milk Fat, Soy Lecithin, Vanillin, Artificial Flavor, PGPR, Emulsifier), Sugar Vegetable Oil (Cocoa Butter, Palm, Shea Sunflower, Palm Kernel and/or Safflower Oil), Nonfat Milk, Corn Syrup Solids, Lactose (Milk), contains 2% or less of: Soy Lecithin, Vanillin, Artificial Flavor, Tocopherols, to Maintain Freshness, PGPR, Emulsifier.